Find urgent care, family doctors, dentists, optometrists, dermatologists and other specialists near Fort Lewis College. With 4.5 million ER visits every year for college-age students, most families will deal with an emergency, health or safety issue during their university years. Don’t wait to get that phone call in the middle of the night. Be prepared for anything with the Umergency app. Pull up a map of nearby resources and keep your student’s insurance information and digital medical consent form securely stored right where you want it. It’s always ready to go… on their phone and yours! Does your son or daughter need new glasses or sunglasses? 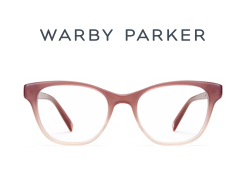 Send a Warby Parker Gift Card! They offer a physical gift card that arrives in a good looking package, or you may send an E-Gift delivered on the date of your choosing. They may redeem it at warbyparker.com or at any of our retail locations. Just apply your gift card code during checkout.